← Time to “Rediscover” MSW Logo, the Child-Friendly Programming Language? • Many teachers are retiring. Given that our teaching population is already skewed towards early-career teachers, this bias will become even stronger. • Many senior positions in education are vacant, are changing leader, or have incumbents who are in the position for less than a year. This includes, but is not limited to, the Minister for Education and Skills, the Chief Executive of the Teaching Council, the Secretary General of the Department of Education and Skills and the presidents of the two larger colleges of education. • After telling ourselves for many years that we have the best education system in the world, there is now public recognition that maybe there is room for some improvement. Such thoughts were prompted by our poor PISA results, which led to the national strategy to improve literacy and numeracy. It is good to be challenged out of complacency in relation to the quality of our education system but we must remember that all was not well in the past, even when we told ourselves that it was…and all is not broken now, even though many in the media might like to tell us that it is. • The Minister for Education and Skills would like to give parents more choice in the patronage of their local school. Furthermore, members of the Catholic Church have said that the Church can no longer support the number of schools that it currently gives patronage to. • Pay and pension conditions have disimproved for all teachers but worst affected are the conditions of new and future teachers. • The duration of initial teacher education for most primary and post-primary teachers is to be lengthened and the content and structure of the preparation is to be reformed accordingly. • Reform of the Junior Certificate has been announced. • Reform of the points system for allocating university places is being considered. 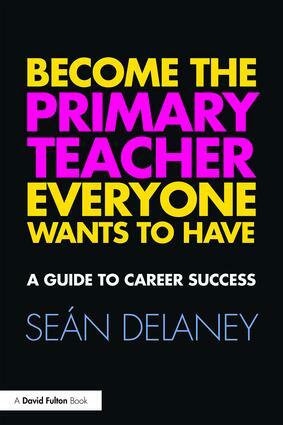 • Cutbacks are threatening services, interventions and class sizes in primary and post-primary schools. All of these changes are happening at a time of broader uncertainty in our society about funding the country and about the future of our currency. And at a time when technology – through its greater range and availability – seems set to influence what happens in schools more than it has to date. Although change in education is not infrequent, its pace seems to have speeded up of late. Systems sometimes seem and are impersonal, unchanging and unresponsive. But right now our education system appears more transparent than before, more open to change, almost vulnerable. At such a time, it needs stability so that it can conserve what is good and working well; it needs instability in order to accept wise innovations; and it needs discernment to differentiate between what needs to be conserved and what needs to be changed. Change brings risks. As we stand on the brink of several changes, I wonder what it will be like to look back on this moment in five, ten or more years time, in light of what happens between now and then. Our education system could become more unequal like many schools in the United States where schools in poor areas can afford fewer resources, including teachers, than schools in rich areas. Or the status of teaching as a profession could fall, and so could teacher morale; this has happened in the United Kingdom. We could become embroiled in “wars” about what and how to teach, as happened with the “reading wars” and the “math wars” in the United States. We could put a lot of effort into changing what we’re doing with little overall benefit to learners. Up to now our education system has attempted, not always successfully, to support the education of children in areas of disadvantage. Teaching has long held a relatively high status in society, and peace rather than war has reigned over what is taught and how it is taught. Our hope in the coming years must be that our schools will provide students with the education they need for the twenty-first century. All children will need to be literate and numerate, creative and persistent, fit and healthy, reflective and questioning, spiritual and content; they will need to have experienced an education that helps them become storytellers, entrepreneurs, citizens. I’m sure that you can extend this wish list. Hopefully, their education will be provided by people who are knowledgeable, self-assured, flexible in their thinking and interested in learning; and by people who have the respect from society that people in their position deserve. The question is, what will you and I have done to bring all this about? This entry was posted in Education Policy, Teaching. Bookmark the permalink.